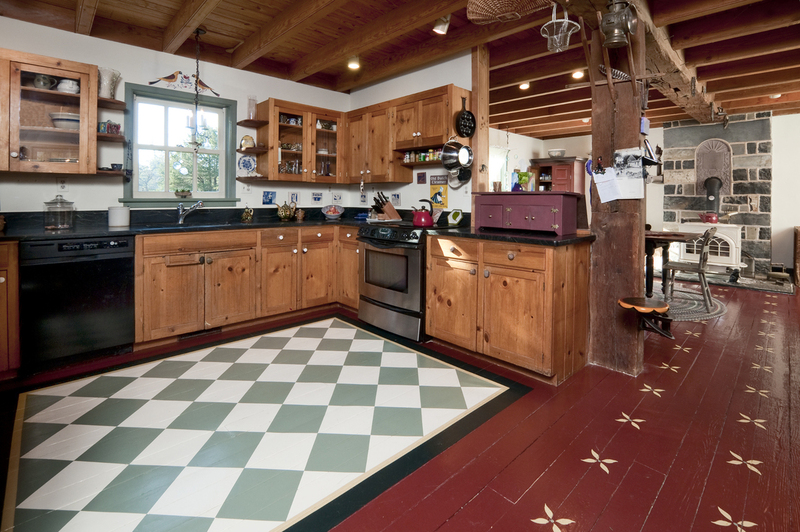 A longtime Odell Painting client and recent empty-nester asked us to recreate her treasured kitchen floor. That was no small task. 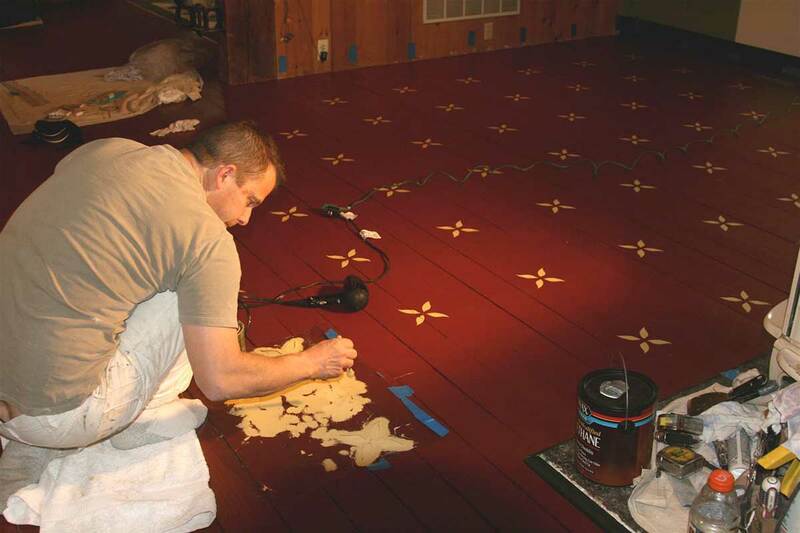 The floor pattern had been hand-stenciled and involved multiple colors and patterns. 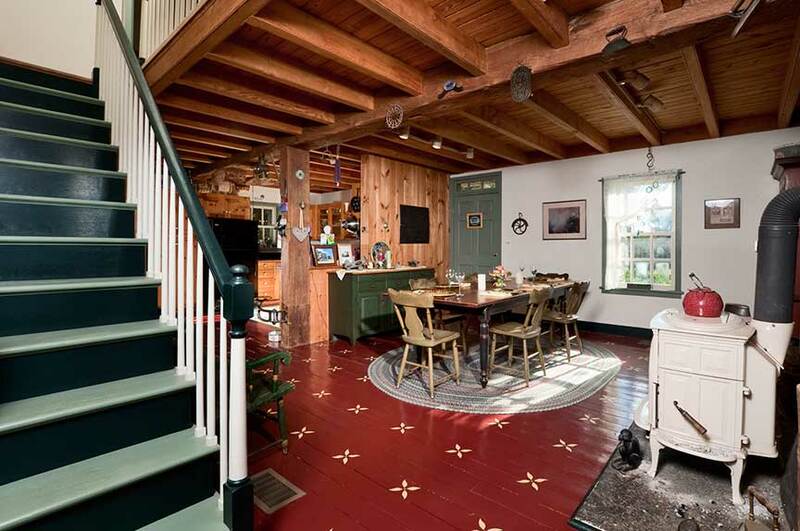 But it was necessary to preserve this 1700s Saltbox Reproduction, and ensure its status as a true historical reproduction. Odell Painting sanded floorboards, hand-taped the checkerboard design, and created stencils for the fleur de lys. As a a matter of practicality, the family still needed to be able to use their kitchen during our monthlong preservation work. To accommodate the space’s active use, Odell Painting marked off “safe” areas among the “work” areas. Residents and painters coexisted in perfect harmony. Our work on this old-style reproduction won a Residential Interior Specialty/Contractor of the Year (CotY) award from the Bucks-Mont chapter of the National Association of the Remodeling Industry (NARI).